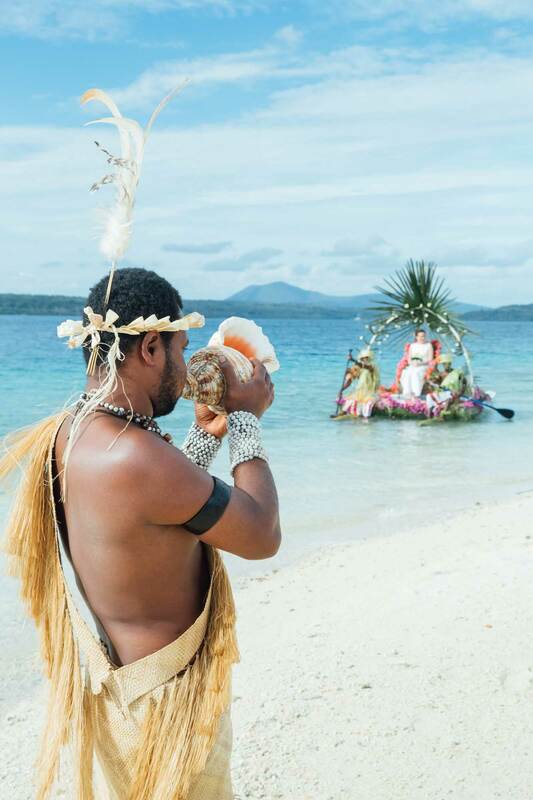 When it comes to South Pacific island destinations, Vanuatu holds a special charm. 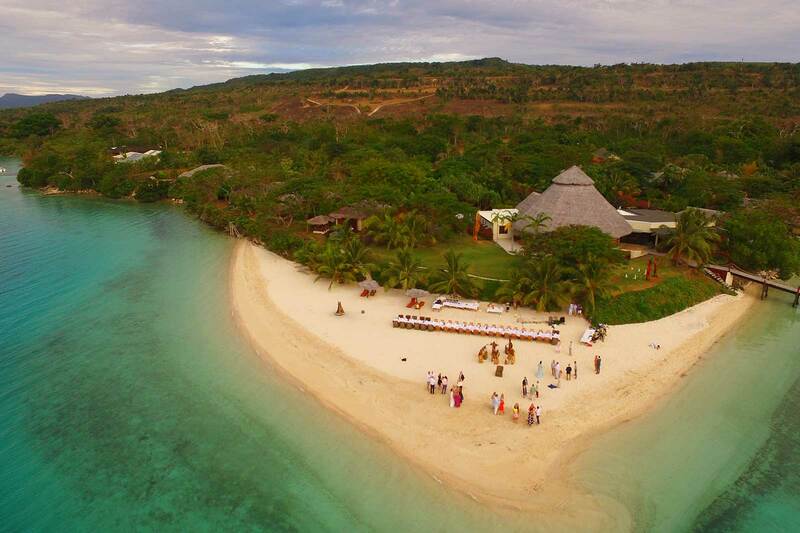 Blessed with natural beauty, the loveliest of locals and an amazing culture, this place seems made for beautiful weddings. And it didn’t take long for Kim and Ryan to fall under its spell. 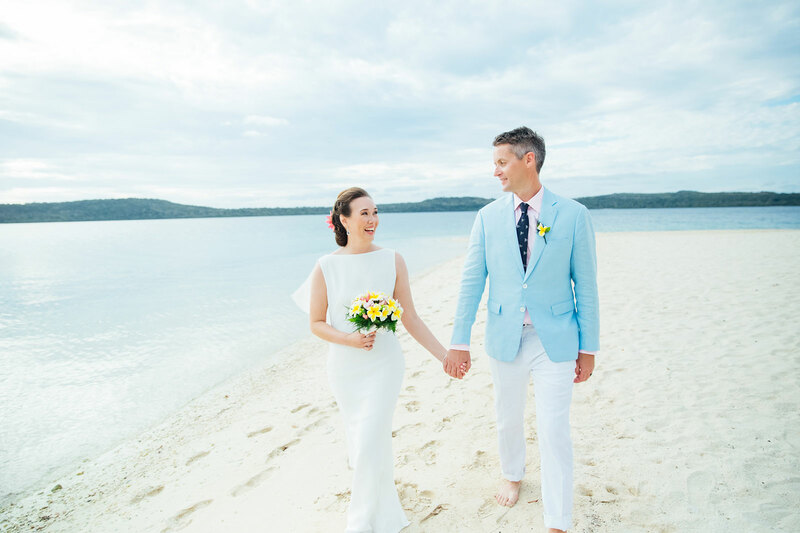 “The South Pacific was our initial starting point because of its proximity to Australia, plus we really wanted to have a beach wedding,” says Ryan. 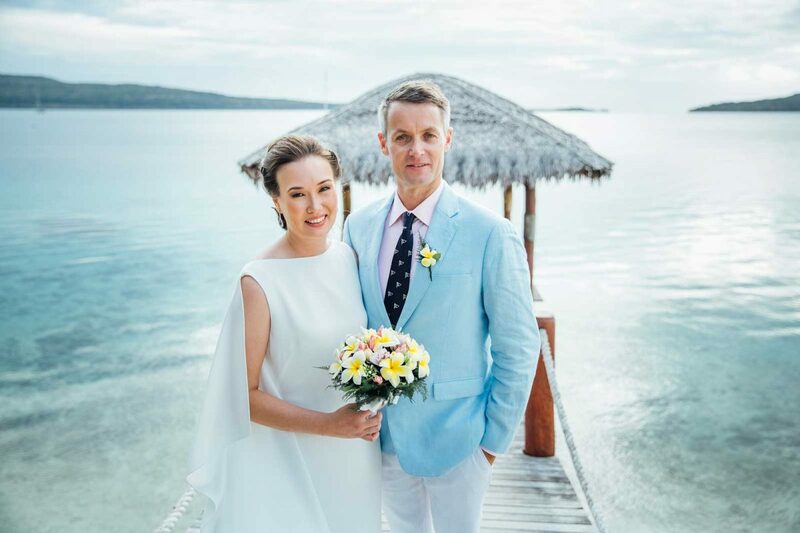 Proving to be all that and more, the venue was an enchanting setting for the couple’s colourful wedding. 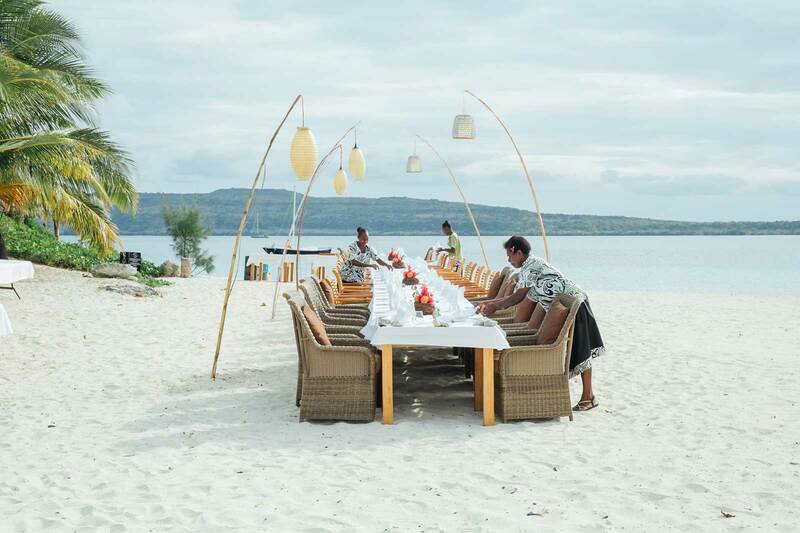 “We knew the food and organisation from The Havannah Vanuatu was first class, so we left everything to them,” says Ryan, who fondly recalls one of his favourite moments. 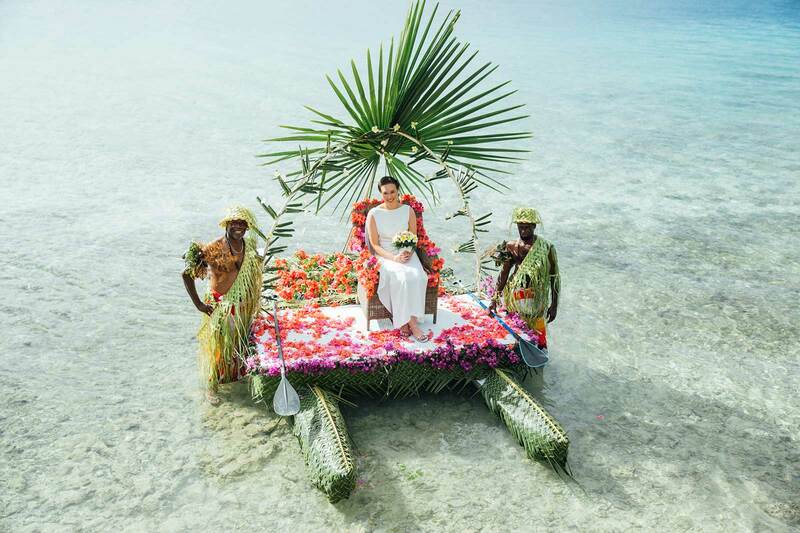 “The most spectacular part of the wedding for me was Kim’s entrance on to the beach via a beautifully-decorated catamaran.” Awww! 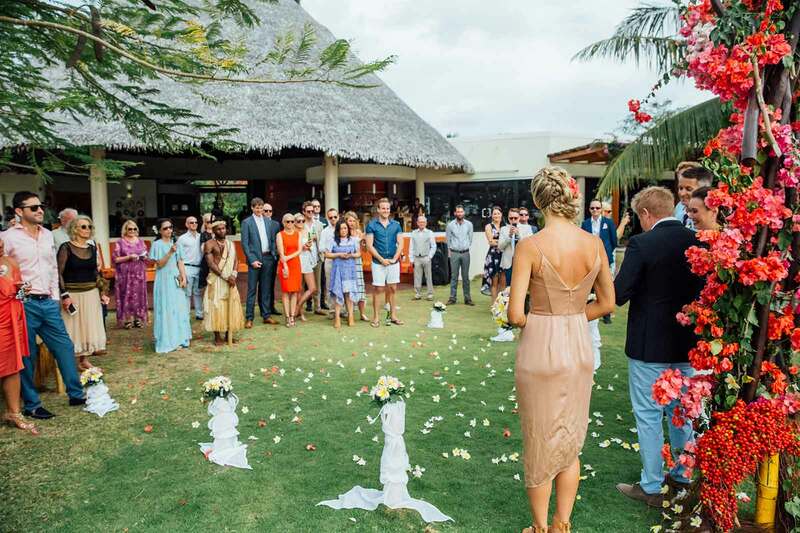 After an intimate ceremony beneath a tropical floral arbour, the newlyweds spoiled guests with a traditional treat. 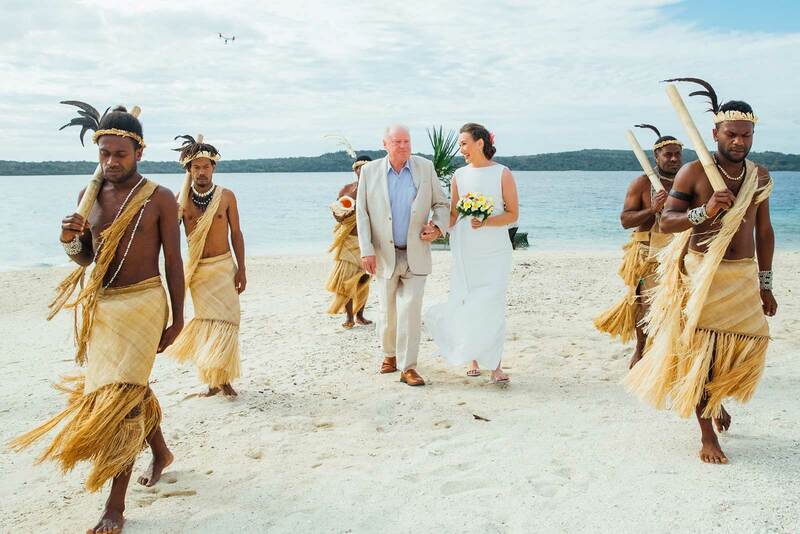 “We hired a local village band to play on the beach while all our guests mingled and we were off having photos taken,” says Ryan.